White House press secretary Sean Spicer's conspicuous absence from a press briefing Monday led to a series of questions about his whereabouts. 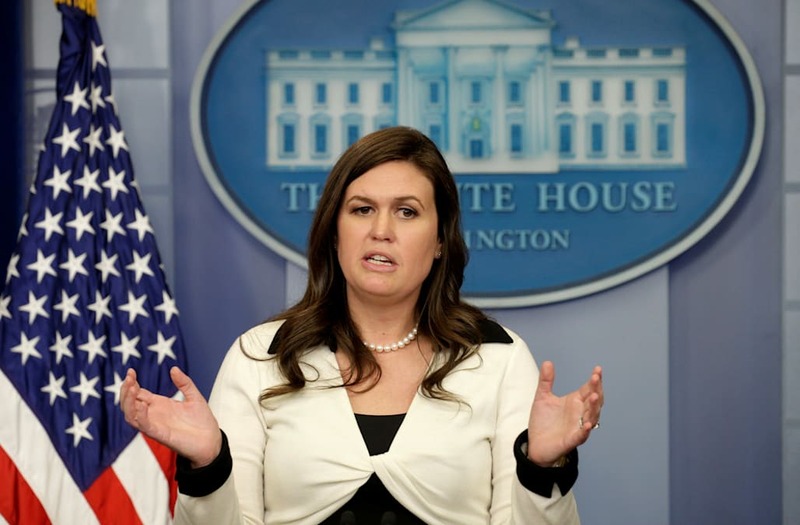 The exchange began when reporter April Ryan asked deputy press secretary Sarah Huckabee Sanders, who was leading the briefing, "Where's Sean?" Sanders responded by saying, "He's here today." As for why he didn't come out, Sanders said, "This is part of my job as well. Did you guys ever ask any of the other deputy press secretaries when they filled in?" Ryan then asked if Spicer was in a new position, and Sanders responded by saying, "I mean, he is taking on a little bit of extra duty at this point...It's probably upgraded at this point given that we don't have a communications director." In fact, the person who had filled that role, Mike Dubke, announced last week that he had resigned, citing "personal reasons." Sanders went on to tell reporters, "I'm just filling in for the day...There are a lot of demands on his schedule, particularly given the fact that there's not a communications director, and this is part of my job as well and when I'm needed, I'll step in." Spicer's future in the administration has continued to be questioned amid reports that President Trump has been unhappy with his portrayal in the media.